In this digital age there’s always a new app, an updated device, an improved system that promises to get you organized faster, stay on top of your appointments and be a more organized human being. Organization has been something I’ve strived to perfect for as long as I can remember. I’ve tried so many digital tools but I find myself still jotting notes down on sticky notes, the backs of receipts or scrap paper. For me, there was nothing better than writing things down. When I took the time to write things down, I found I remembered things more and retained them longer! 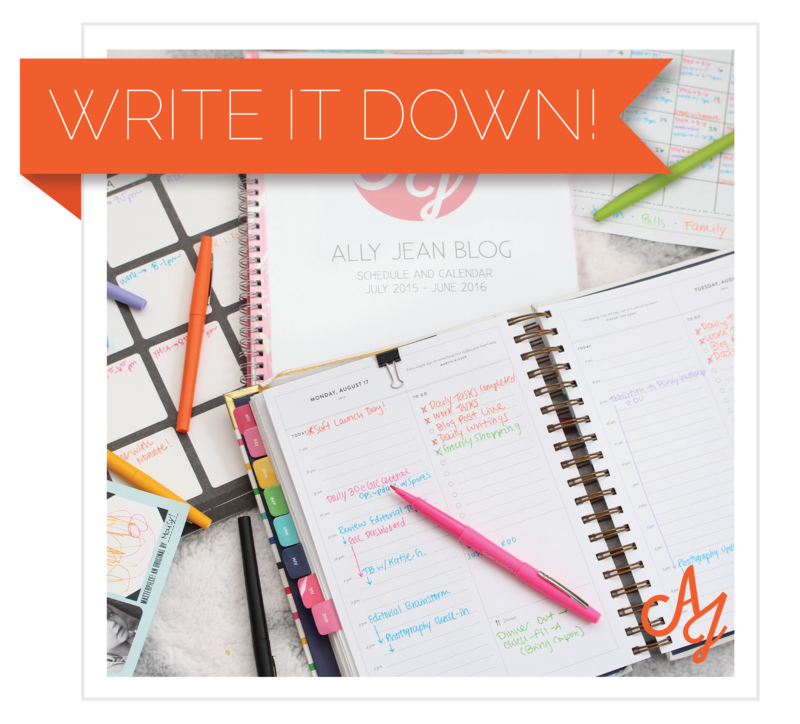 If you’re like me and love to write things down, there are so many excellent resources to help you get and stay organized. The key to getting organized is to set goals. Setting and sticking to realistic goals is something I’ve only recently committed to. Earlier this year I purchased the Power Sheets from Lara Casey, monthly worksheets that empower you to define your goals, set realistic expectations and see them follow through to the end. I LOVE these sheets because I am forced to check in on my goals each day and focus my time on what is really important. I completely recommend them for the driven woman in your life. Get yourself a well designed planner. Or two. I’ve got at least two planners at all time. 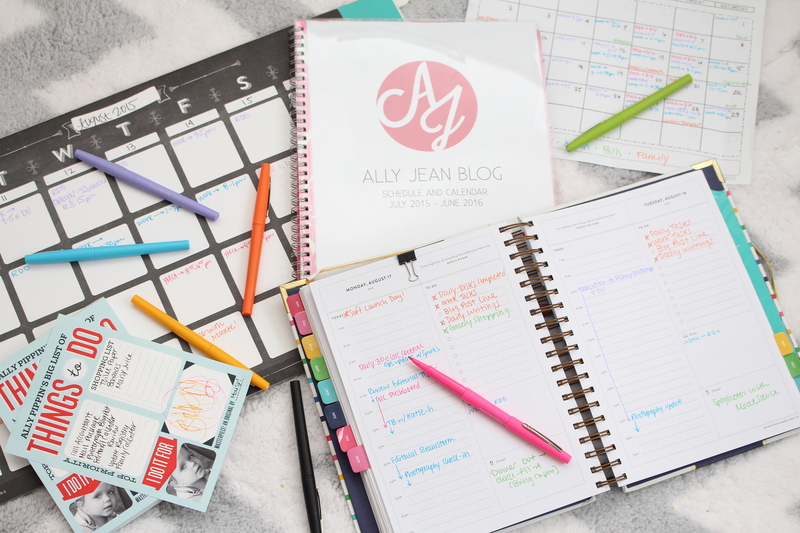 My personal planner and my blog planner. Sometimes, life forces me to throw a third into the mix (dividing work appointments and personal/family appointments) but for the time being, I’ve got two on hand. 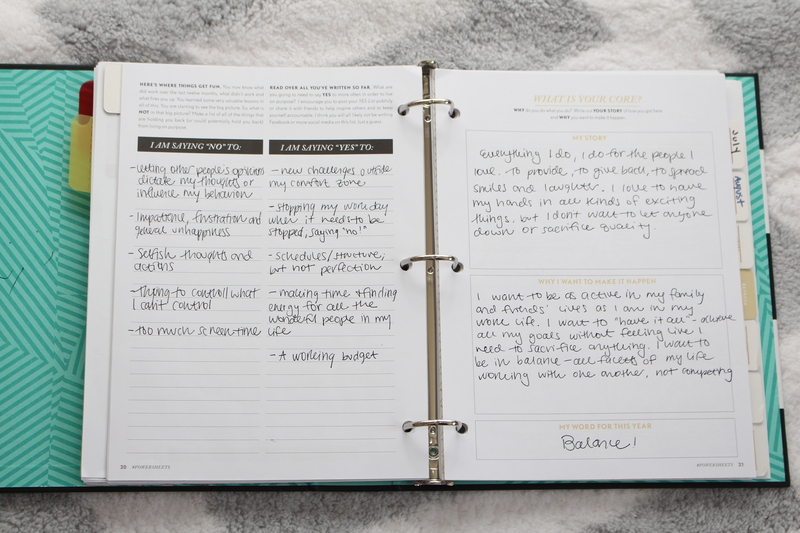 My current personal planner is a Simplified Planner from Emily Ley. I ADORE this planner because it allows me to schedule out my day on one side and draft out to-dos on the other. There’s also a space for notes (I like to write Justin’s work schedule and Maisy’s school schedule in there) and a designated space for meal planning. The monthly calendar is large enough to plan out our whole family’s schedule for the month to view at a glance. My blog planner is Blue Sky Planner from Target. I love that the weekly view has enough space to draft out posts entire weeks in advance. When I draft my posts, I open my planner to the week’s page and review my post notes. Paper Calendars are perfect for families. Our house has used this Post-it weekly calendar for years. I love that there is a line for everyone in the family to see their schedule, and the pages tear off each week. We also have a monthly calendar that lives in our home keeping binder. It’s a ritual every week to update both as well as my Simplified Planner so we’re all aware of each other’s schedules. Check lists are easier to complete when they’re pretty. Shutterfly is constantly sending out free gifts and deals and I almost always take advantage of the free notepads. These are the perfect size for daily to-dos that pop into my head randomly. This particular notepad also has a column for a rolling shopping list. This makes my life SO much easier when I do the shopping each week! Tomorrow, I’ll be chatting more in defense of writing things down to record and reflect on a day. I can’t wait to share more with you tomorrow!